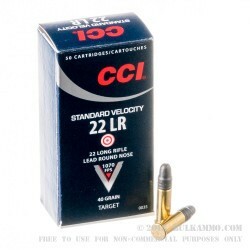 If you're after accuracy in your .22 LR ammo, use this standard velocity load from CCI. 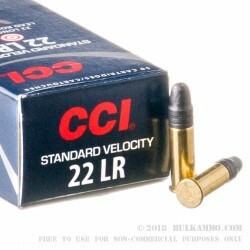 These cartridges come in boxes of 50 (with 10 boxes in this brick of 500) and fire a 40 grain solid lead nosed bullet at 1,070 feet per second; they produce more consistent external ballistics by avoiding the sound barrier, making them a better choice for precision shooting than faster loads. 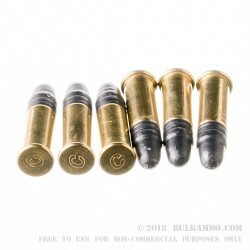 They're also ideal for quiet target shooting with suppressed firearms, since supersonic rounds will produce a 'crack' regardless of whether you're using a suppressor. CCI is a sister company of Speer and a division of Vista Outdoor. Headquartered in Lewiston, Idaho, it is a long-established leader in the rimfire market with a wide variety of offerings for hunting, target shooting, and competition. 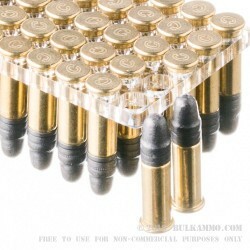 Reliable, accurate, price is competative with online dealers, ordering easy and shipping was quick.